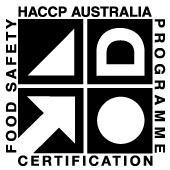 Automated Food Safety Temperature Compliance Pty Ltd (AFSTC) is an Australian company focused on bringing remote temperature monitoring and regulatory compliance solutions to businesses involved in the food supply chain, from farm gate to plate. With a heritage in the food refrigeration industry and remote monitoring systems, AFSTC has developed innovative, industry-leading technology that provides business operators peace of mind in the knowledge that their storage devices are being monitored 24/7 for operation within required temperature zones, and that their compliance reporting requirements are taken care of, leaving them free to get on with what they do best, running their business. While the Sentry Temperature Monitoring System is typically used in the food processing and cold storage chain, restaurants, and transport industries, it also has many applications in the healthcare and pharmaceutical industries. Designed and manufactured in Australia, (patent pending) the Sentry Temperature Monitoring System developed by AFSTC is ideal for monitoring of Cold Stores, Coolrooms, Freezers, Fridges, Display Cabinets, Refrigerated Transport and many other applications where temperature control and monitoring is critical. In the food industry, your reputation is your brand. Keeping food safe is critical not only to the well being of your customers, but also the well being of your brand. At Sentry we recognise the demands of your business; that is why we have developed a system that not only monitors the temperatures of your food storage devices 24/7 and provides alerts when temperatures fall outside the specified range, we also provide daily compliance reports for each device, leaving you free to do what you do best, saving you time and money. As an added feature we can also provide detailed reports that will assist in the efficient operation of your food storage devices, potentially providing further savings to your business. Technical support, maintenance and updates are important components of our service to you. This support is available online through Sentry Technical Support by contacting us here via email. Sentry provides technical support and free software upgrades as long as you have an active monitoring account.